WASHINGTON (AP) — The U.S. put Iran “on notice” Wednesday after the Iranian military tested a ballistic missile and allied rebels in Yemen attacked a Saudi naval vessel in the Red Sea, an early manifestation of President Donald Trump’s promise of a tougher American approach to the Islamic republic. “Iran is now feeling emboldened,” Michael Flynn, Trump’s national security adviser, told reporters. Delivering his first public remarks since Trump took office, Flynn didn’t elaborate on what actions the U.S. might take in response to Iran’s missile test earlier this week. But he made clear the administration’s view that President Barack Obama’s strategy of containing Iran’s destabilizing behavior while cooperating more closely on nuclear and other matters wasn’t working. “The Obama administration failed to respond adequately to Tehran’s malign actions — including weapons transfers, support for terrorism and other violations of international norms,” Flynn said. The statement makes “sure that they understood that we weren’t going to sit by and not act on those actions,” Spicer said. Reports of the missile test emerged after Trump signed an executive order last week temporarily suspending immigration from Iran and six other majority-Muslim countries. On Monday, Iranian-backed Houthi rebels off the coast of Yemen launched an attack on a Saudi Arabian naval vessel using suicide boats, or fast attack craft laden with explosives. The year 2016 saw an unprecedented spike in the number of incidents at sea between the US Navy and fast-attack craft of the Iran’s Islamic Revolutionary Guard Corps (IRGC), at least one of which required the US Navy to open fire with warning shots. 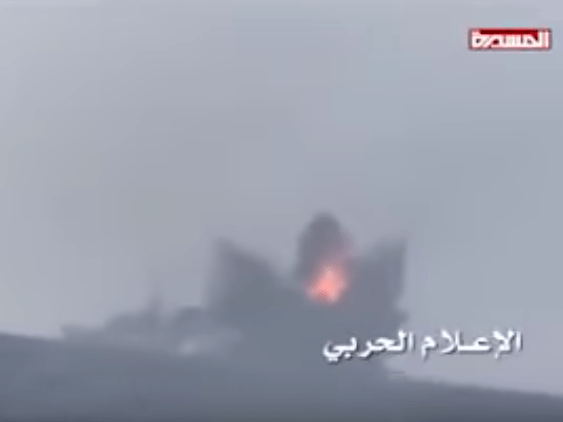 Meanwhile, Iranian-backed Houthi rebels in Yemen had a blockbuster year in 2016, using an anti-ship missile to hit an Emirati naval vessel and then firing a salvo of missiles at US Navy ships in October. The US Navy successfully fended off the Houthi missile attack and retaliated by destroying three radar sites in Houthi-controlled Yemen. At the time, US officials and experts contacted by Business Insider concluded that Iran likely supplied the missiles to the Houthis. But the latest attack on the Saudis may give the US Navy pause in the future. In a questionable video released of the attack, people near the camera can be heard shouting slogans like “death to America,” “death to Israel,” and “death to Jews!” One Pentagon officialtold the Washington Examiner that the Houthis may have mistaken the Saudi ship they attacked for a US Navy ship, though another official denied it. President Trump has gotten his man at the State Department. Rex Tillerson was approved by a 56-43 vote Wednesday in the Senate. Four senators who caucus with the Democrats crossed the aisle and joined all of the Republicans in voting for Tillerson. They were Democrats Mark Warner of Virginia, Heidi Heitkamp of North Dakota and Joe Manchin of West Virginia, as well as independent Angus King of Maine. Britain passed the point of no return in its historic battle to cut ties with Brussels tonight as MPs backed the Brexit Bill. The Commons endorsed the legislation by 498 votes to 114 after the government saw off a desperate bid by more than 100 Remoaners to block it. In the first of a crucial set of votes in the Commons, a ‘wrecking’ amendment that would have effectively killed the law was defeated by 336 to 100. The House then gave the Bill its second reading by another huge margin, despite the opposition from Labour MPs, the SNP and most Liberal Democrats. One Labour MP yelled ‘suicide’ as the result was read out in the chamber. After Donald Trump’s election victory, Soros made some bearish market bets. While Soros called Trump a “would-be dictator,” and predicted uncertainty and sell-off after his win, the markets rallied significantly. “The overall returns from hedge funds in 2016 were disappointing. Even the managers with the greatest long-term records did not perform strongly, and their results were no better than average,” Rick Sopher, chairman of LCH, said in the report. “This underperformance by the world’s greatest money managers reflects the difficulties experienced by most active managers for much of 2016,” he added. BEIJING — China is stepping up its efforts to stop South Korea from deploying a U.S. missile defense system on its soil, turning up the pressure on the economic front, while warning of the impact on diplomatic relations if the system is put in place this year. A major computer malfunction crippled traffic at Amsterdam’s Schiphol airport on Wednesday causing the delay or cancellation of more than 100 flights at one of Europe’s largest transportation hubs. Passengers faced hours of delays due to a technical problem at the Netherlands’ Air Traffic Control, forcing flights to be diverted to alternative European airports, a spokesman said. KLM, the national carrier, canceled flights to Germany, Belgium, Britain and the United States, among others. “We are not sure yet what the cause is or how long it will take to fix it,” said Schiphol spokesman Paul Weber. A daring special operations raid into Yemen was approved by the White House and executed this weekend, leaving one US soldier dead and three wounded. Details remain sketchy, but a group made up primarily of America’s most notorious tier one counter-terrorism force, SEAL Team Six, flew into war-torn Yemen to raid an al Qaeda in the Arabian Peninsula (AQAP) headquarters in the al-Bayda region of the country. The raid was supposedly a kill-capture and site exploitation operation aimed at the group’s key leadership, including AQAP kingpin Qasim al Raymi. The SEALs experienced an hour-long firefight after arriving on target under a moonless night sky. The team supposedly killed 14 AQAP operatives in the surprise assault, but also suffered one KIA and three wounded in the process. A V-22 Osprey (it is unclear if this was a Marine MV-22 or USAF CV-22) that was evacuating casualties during the operation experienced a hard landing and was destroyed by choice as the team exfiltrated the target area. Multiple structures were also said to have been obliterated by airstrikes during different phases of the assault. Missile tested by Tehran originally came from Pyongyang. 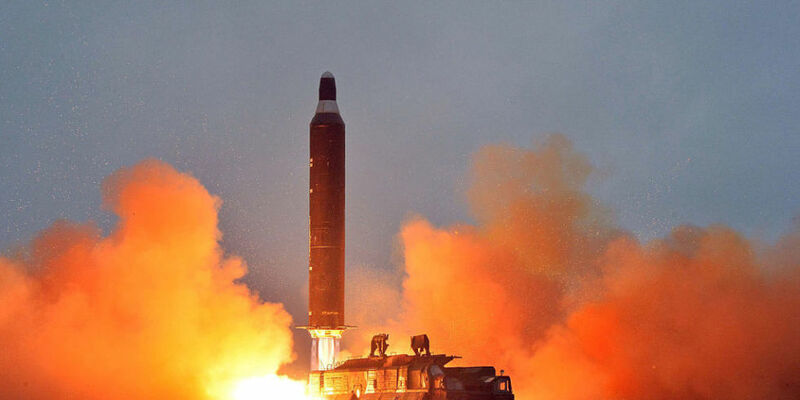 A ballistic missile launched by Iran on Sunday was North Korean in construction or design, according to the Pentagon. The missile test, which ended in failure, was not a violation of 2015’s Iranian nuclear deal, but arguably was in violation of a U.N. Security Council resolution. Either way, this latest test could set Iran on a collision course with the Trump Administration, which has promised to take a hard line on Iran. According to Reuters, the missile traveled 630 miles before it exploded, either by accident or by design. There are no official details regarding what kind of missile it was, although it was certainly a ballistic missile. An anonymous U.S. government official told Reuters the missile was launched from a test site near Senman, east of the Iranian capital of Tehran, and said it was the same type of missile last tested in April 2016. Two senior FSB officers and a high-level manager of Russia’s leading cybersecurity firm Kaspersky Lab are facing official charges of treason in the interests of the US, a lawyer representing one of the defendants has confirmed to Interfax. Ruslan Stoyanov, head of Kaspersky Lab’s computer incidents investigations unit, Sergey Mikhailov, a senior Russian FSB officer, and his deputy Dmitry Dokuchayev are accused of “treason in favor of the US,” lawyer Ivan Pavlov said on Wednesday, as cited by Interfax. Pavlov chose not to disclose which of the defendants he represents, adding, however, that his client denies all charges. The charges against the defendants do not imply they were cooperating with the CIA, Pavlov added. “There is no mention of the CIA at all. [The entity] in question is the US, not the CIA,” he stressed, according to TASS. The lawyer maintained the court files included no mention of Vladimir Anikeev, an alleged leader of ‘Shaltai Boltai’, a hacking group that previously leaked emails from top Russian officials, including Prime Minister Dmitry Medvedev. The hacking group’s name was in the news earlier in January, when Russian media reports linked Mikhailov and Dokuchayev to ‘Shaltai Boltai’. In an unsourced article last Wednesday, Rosbalt newspaper claimed Mikhailov’s unit was ordered in 2016 to work with the group. Some 1,100 German police officers conducted surprise raids on 54 flats, mosques, and industrial facilities in a large-scale operation that nabbed 16 terrorist suspects on Wednesday, including a recruiter and human trafficker linked to Islamic State. Today’s operation in the central German state of Hesse followed a separate night raid in Berlin on Tuesday that led to the detention of three suspects with alleged links to Islamic State (IS, formerly ISIS/ISIL), local media reports. Sixteen suspects from 16 to 46 years old were detained in several cities, including Frankfurt, Offenbach, and Darmstadt. They are being investigation for having possible links to Islamic State, according to Bild. After consistently defending the Obama administration’s opposition to moving the US Embassy to Jerusalem, former US ambassador to Israel Dan Shapiro now appears sympathetic to the idea. 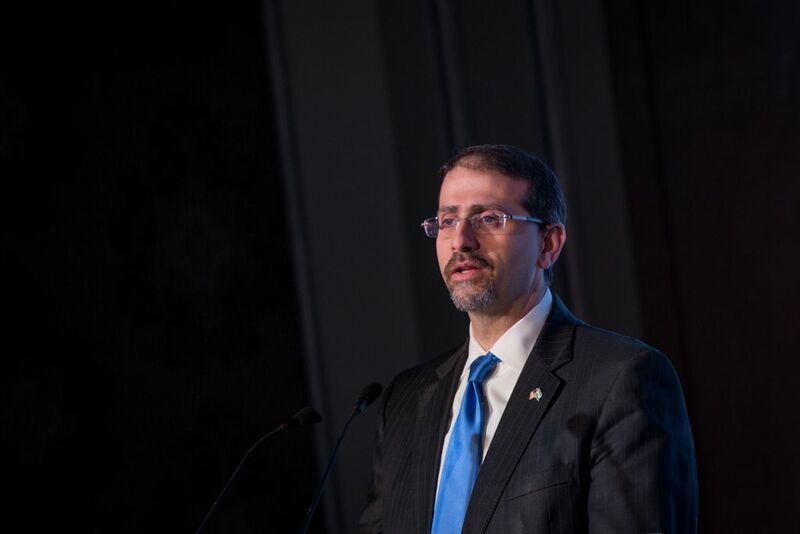 In an article offering advice to the new US administration , he argues that the embassy’s relocation could take place even before a final Palestinian-Israeli peace deal is reached. The move might also have positive practical implications for American diplomats stationed in Israel, who would no longer need to travel from Tel Aviv to to Jerusalem to meet government officials, he wrote. Italian police arrested four people on Tuesday who are suspected of smuggling weapons into Iran and Libya, violating international embargos, Italian media reported. Three of those who were arrested were Italian nationals, couple Mario Di Leva and Annamaria Fontana, and Andrea Pardi, as well as Libyan national Mohamud Ali Shaswish. 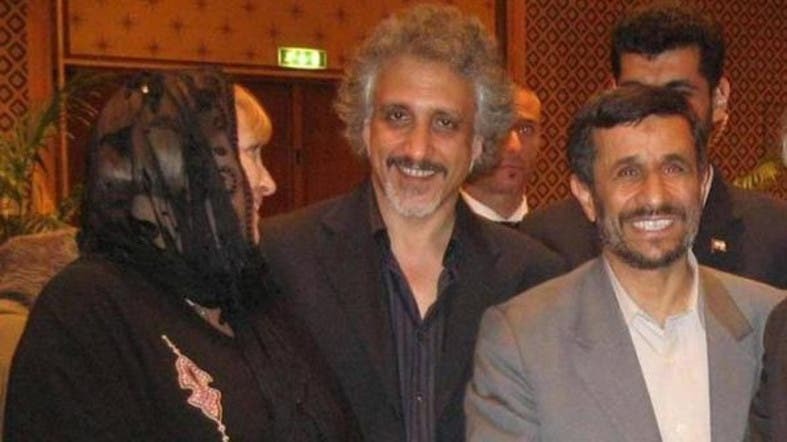 The arrested Italian nationals previously appeared in a picture with the former Iranian President Mahmoud Ahmadinejad who was in office from 2005 to 2013. The group were accused of smuggling air ambulances and weapons such as surface-to-air missiles, assault rifles and anti-tank missiles into Iran and Libya between 2011 and 2015. The air ambulances were converted into military helicopters, Italian daily La Repubblica reported. It is also believed that the three Italians were also involved in another investigation on arms trafficking and recruitment of mercenaries between Italy and Somalia. Al-Qaeda fighters seemed ready for Sunday’s deadly Navy SEAL raid in Yemen, a source familiar with the raid told ABC News, almost as though they knew the Americans were coming. The raid succeeded in obtaining “a tremendous amount” of information about al-Qaeda in the Arabian Peninsula (AQAP), White House press secretary Sean Spicer said Tuesday, though the firefight killed one SEAL and wounded three others. Three additional servicemembers were injured when an aircraft sent to medevac the SEALs experienced a “hard landing” that left it inoperable. The SEALs’ mission was intended to gather intelligence about the terror group’s senior leadership and its external plotting efforts. The mission was also intended to capture any AQAP leaders if possible, but no one was detained in the raid, said a U.S. official. “Obviously, we recovered a tremendous amount of information and we killed an estimated 14 members of [AQAP] individuals,” Spicer told reporters at the White House on Tuesday. An unnamed U.S. official told ABC News electronics with data had been seized in the raid and it is hoped that it could prevent future terror attacks targeting the West. The Ohio-based Arab American group has been linked to the Assad regime and called anti-Semitic—charges its leader rejects.The head of the group that organized and paid for Congresswoman Tulsi Gabbard’s trip to Syria says he personally financed the trip in which the Hawaii Democrat met with Syrian President Bashar al-Assad, denied he had links to Assad or a controversial Syrian political party, and rejected news reports that said his group was anti-Semitic. In an interview with The Atlantic, Bassam Khawam, a former executive director and current board member of the Arab American Community Center for Economic and Social Services (AACCESS-Ohio), said this wasn’t the first trip his Cleveland-based organization has coordinated for U.S. lawmakers to the Middle East. Founded in 1991 to serve the Arab American community in Ohio, AACCESS has organized three trips to the region for Dennis Kucinich, the former Democratic congressman from Ohio, between 2006 and 2011; Khawam said the group did the same for Gabbard, a two-term Democratic congresswoman from Hawaii, because of her expressed interest in the region. CAIRO, Egypt — By establishing a naval force in the Red Sea, Egypt aims for more than protecting navigation in the Suez Canal, a vital wa­terway for international trade, mili­tary experts said. The new force utilizes recently acquired naval equipment, includ­ing a French-made multifunction helicopter carrier. Egyptian President Abdel Fattah al-Sisi said the new force would help his country protect its coast. 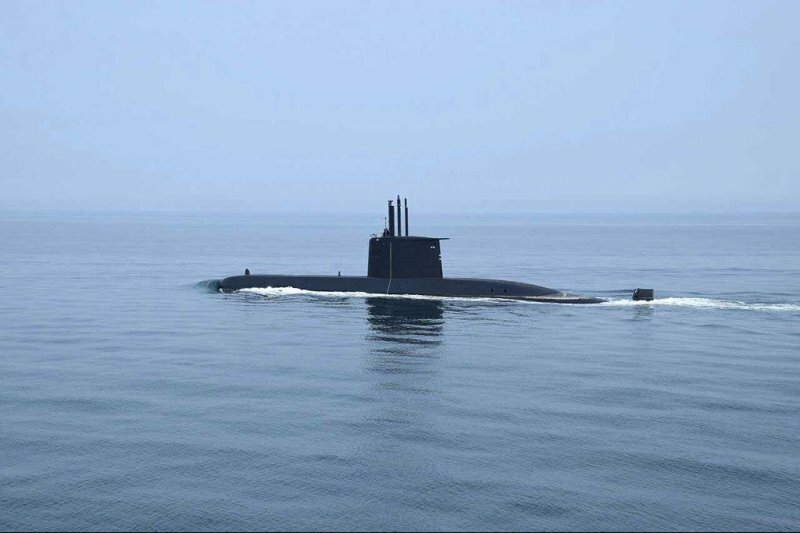 Defense Minister Sedki Sobhi said the force would help Egypt impose control on its territorial waters in the Red Sea. Cairo – The Islamic State group in Egypt claimed on Tuesday that its fighters killed and wounded 20 Egyptian soldiers in four days of clashes in northern Sinai. Turkish Parliament convenes to debate on the proposed constitutional changes in Ankara. ANKARA (Reuters) – Turkish authorities have dismissed more than 90,000 public servants for alleged connections to a coup attempt in July as part of a purge critics say has broadened to target any political opposition to President Tayyip Erdogan. Speaking to reporters at a roundtable interview broadcast on television, Labour Minister Mehmet Muezzinoglu said 125,485 people from the public service had been put through legal proceedings after the coup attempt, and that 94,867 of those had been dismissed so far. Turkey has been rooting out followers of the U.S.-based Muslim cleric Fethullah Gulen, whom it accuses of having infiltrated state institutions and plotted to overthrow the government. Gulen, who has lived in self-imposed exile in Pennsylvania since 1999, has denied the charge and condemned the coup. Some 40,000 people from the police, the military, the judiciary, the civil service or the education system, have been remanded in custody pending trial for alleged connections with the coup attempt, during which at least 240 people were killed. François Fillon’s wife Penelope was paid more than €900,000 for work she allegedly didn’t perform, according to investigative weekly Le Canard Enchaîné, which claims the embattled presidential candidate also hired two of his children. The report by the satirical and investigative weekly, which first broke the story last week, almost doubles the amount Penelope Fillon is claimed to have earned from jobs her husband got her. It claims that the conservative presidential candidate also employed two of his five children as parliamentary assistants while he was a senator, earning a further 84,000 euros. Secretary General Jens Stoltenberg said NATO was reacting to Russian reinforcements in the region but did not want a new Cold War. NATO is nearing the final stages of a plan to shore up allied defences on land, sea and air in the Black Sea region, the organization’s top diplomat said on Tuesday. Speaking after a meeting with newly elected Bulgarian President Rumen Radev, NATO Secretary General Jens Stoltenberg said NATO would not act aggressively in the region but felt compelled to react to Russia’s reinforcements in its Black Sea ports. Win an iPhone 7 Sign up to our daily newsletter for your chance to win. The Black Sea is of prime importance to Russia’s naval strategy, according to a statement made by the head officer, admiral Victor Chirkov in 2014, and Russian are troops active in two disputes on the sea’s coasts—in Ukraine and Georgia. Moscow officials have also said they would respond to an increased presence from non-regional powers such as the U.S. in the Black Sea, which they see as part of a wider NATO encroachment on Russia’s sphere of influence. Too many powerful members are shirking their defense commitments. Is it time for member states to amend the North Atlantic Treaty, a document that is nearly 70 years old and was constructed at a time when the Cold War was just kicking into high gear? For the most dedicated Atlanticist, even suggesting NATO’s founding document may require some type of revision amounts to blasting the world’s most successful military alliance as a relic of the past. This view, however, is shortsighted. If NATO is to survive, it needs to introduce some degree of accountability on European members that are keeping their military spending down in order to fund domestic entitlements. Including the United States, only five of NATO’s 28 members spend the 2 percent of GDP on defense that the alliance’s political leaders have agreed on as the benchmark. And of those other four members, only the United Kingdom can be labeled as a powerhouse on the European continent. Major countries such as Germany, France, Italy, and Spain continue to fall short—Spain, in fact, contributes less than 1 percent of GDP. Where is billionaire Xiao Jianhua? That depends on whom you ask, and the answer may further inflame Hong Kongers worried that China is increasingly meddling in the city’s affairs. Xiao, a student leader at the time of 1989 pro-democracy protests in China who now runs the Tomorrow Group investment conglomerate, hasn’t been seen around Hong Kong since last week. He’s a long-time resident of the luxury Four Seasons Hotelfronting Victoria Harbor. The South China Morning Post reported that Xiao left the hotel Friday accompanied by a group of unknown people. He then crossed into mainland China, where he remains, the paper reported Wednesday, citing sources it didn’t identify. Xiao can communicate with his family, one person told the paper, which didn’t say why he was in China. Hong Kong police, when asked about Xiao, said “the subject” entered China on Jan. 27 but didn’t explain. The New York Times also reported that Xiao was taken by Chinese police and brought back to the mainland, where he was in custody. The paper, which didn’t say why Xiao was detained, cited a person close to the businessman whom it didn’t identify. 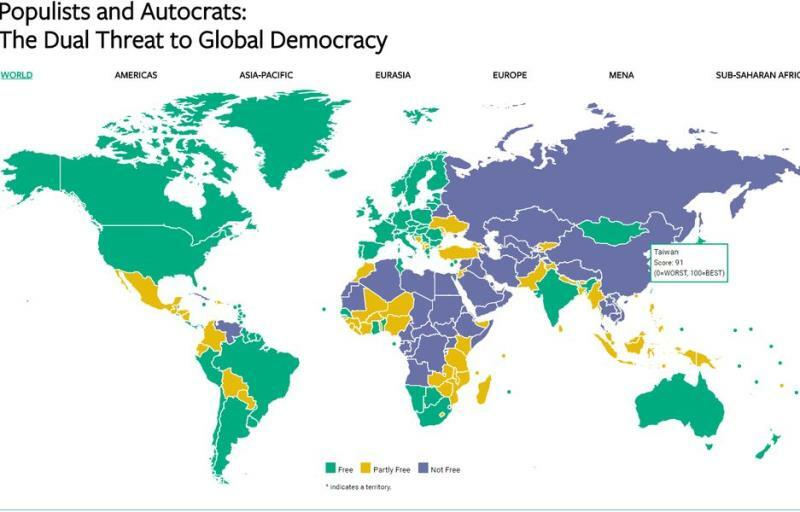 TAIPEI (Taiwan News) – Taiwan has moved ahead of the United States on the list of free countries in the world released by non-governmental organization Freedom House. According to the group’s rating system, Taiwan received 91 points out of 100, or two more than the U.S., giving the island nation a higher degree of freedom in its “Freedom in the World 2017” report. In both the categories “political rights” and “civil liberties,” Taiwan received a 1, the best possible score, with 7 being the worst. For civil liberties, the figure represented an improvement from 2 the previous year, reportedly thanks to the independence of the media and to academic freedom. As political tensions between the U.S. and Iran simmer, the U.S. and four other allied navies on Tuesday kicked off a three-day maritime exercise in international waters abutting the Iranian shoreline. The United Kingdom-led exercise, Unified Trident, comes on the heels of a White House executive order banning immigration to the U.S. from seven countries, including Iran. In response, the Iranian foreign ministry released a statement saying it would enact a reciprocal ban on American travel to the country, and added that it would “retaliate” against the U.S. In remarks reported by Iranian new agencies Jan. 30, the head of the Iranian Navy, Rear Adm. Habibollah Sayyari, said he was aware of the upcoming allied exercise and warned against any incursion of the participating ships into Iranian territorial waters. Iran has for the first time injected uranium hexafluoride (UF6) gas into its IR-8 uranium enrichment centrifuges. The development of the next-generation centrifuges is being carried out within the framework of the Joint Comprehensive Plan of Action (JCPOA), the Atomic Energy Organisation of Iran (AEOI) said. A statement issued by the AEOI on 28 January said the injection of UF6 into the centrifuges marked an important step in the country’s uranium enrichment research and development. It described the IR-8 as ‘one of the most advanced centrifuges designed and built by Iranian scientists’. The design has an enrichment capacity ‘about twenty times’ that of the first-generation IR-1 centrifuges already in operation in Iran, and has been undergoing mechanical testing for the last three years. AEOI spokesman Behrouz Kamalvandi, reported by the Mehr news agency, said the injection of UF6 was carried out according to schedule. “This measure was not a reaction to or the result of a particular event. It was fully in line with the nuclear deal”, he said. The Dutch government should acknowledge in public the fact that it’s very difficult to pick out jihadists from asylum seekers, criminologists have argued. Writing in daily newspaper NRC, university of Amsterdam researchers Joris van Wijk and Maarten Bolhuis say the public’s expectations that the government is able to screen would-be terrorists from asylum seekers are unrealistic. Following the release of a report which said screening of migrants is inadequate, and the terror attack last month in Berlin in which a Tunisian man ploughed a truck into people at a Christmas market, the government sought to calm public fears. “We’ll pick out the terrorists at a later stage”, the then justice minister Ard van der Steur told the Telegraaf in response to the inspection report, a comment that van Wijk and Bolhuis say sounded “reassuring” but was not necessarily realistic. The criminologists report that staff working at the Netherlands’s Immigration and Naturalisation Service (IND), and its Central Agency for the Reception of Asylum Seekers (COA) say it’s unrealistic to expect that would-be terrorists can be picked out among newcomers. The IND issues guidelines detailing possible indicators of Islamic extremism which includes certain behaviours (such as refusing to shake hands with women), certain language, and other outward mannerisms.